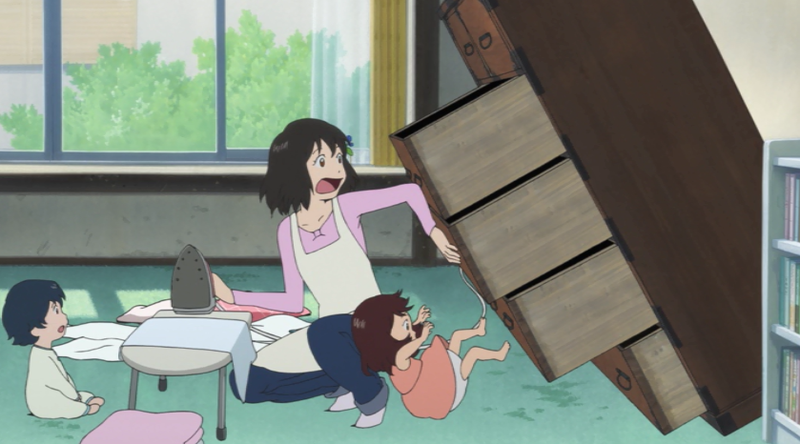 Wolf Children, directed by Mamoru Hosoda, weaves a story about raising a pair of half-wolf children as a parable for the trials of being a single mother. In it, a woman named Hana falls in love with a werewolf and has two children, Ame and Yuki, with him. 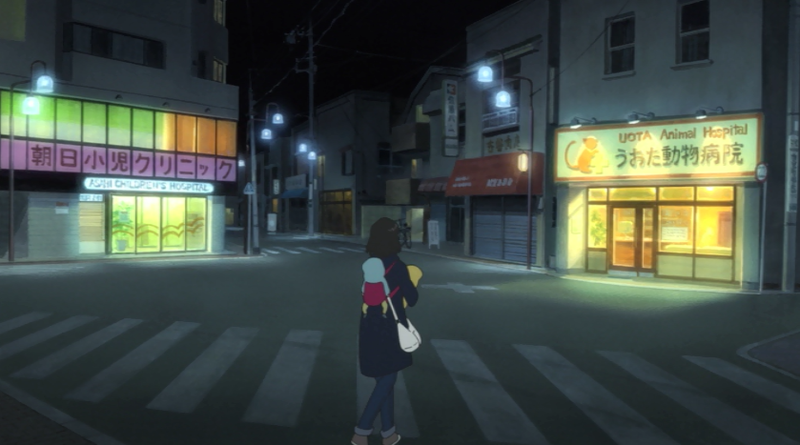 After their father dies, however, Hana finds herself alone and without support. With two children to raise and no one she can trust to help her out, she soon realizes the weight of the world is upon her shoulders. While Hana’s situation is certainly unique, it serves to illustrate how little help many single mothers receive. Everything from financial assistance to advice is out of reach or unavailable, especially for those who have no immediate relatives willing to lend a hand. 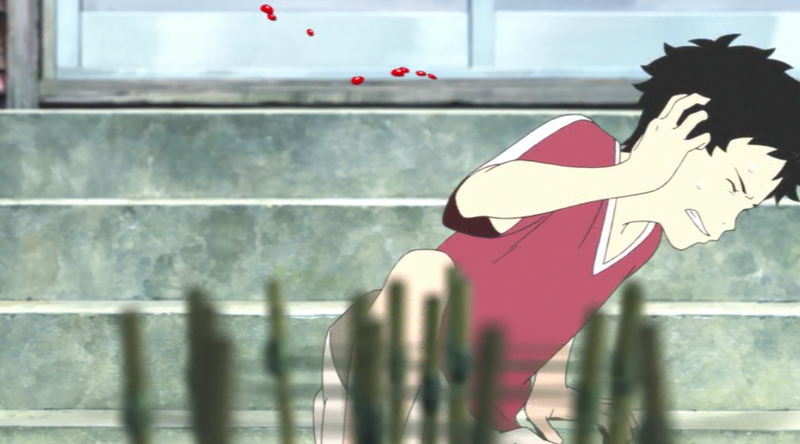 A perfect example is when Yuki, chewing things at random, swallows a desiccant and starts vomiting. Hana attempts to seek help, but finds herself stuck deciding between bringing her children to a hospital or a vet, if either. She eventually resorts to calling a medical help line, unable to trust any doctor with her children’s secret. Hana also receives very little sympathy from neighbors and her apartment owner. She is frequently chewed out over her children crying, as if she was really capable of stopping that, and eventually accused of keeping pets when her children howl. Few acknowledge the intense pressure she’s under, choosing instead to assume the annoyance they face is far greater than the stress she endures. Eventually, she chooses to move to the countryside to escape the prying eyes of society. A bit of privacy doesn’t signal the end of her troubles, however, as she is tasked with repairing their fixer-upper house all by herself. With no financial support from her family and no husband around to aid with the repairs, she quickly becomes both a full-time parent and part-time carpenter, all while burning through her savings. She eventually lands a job and gets some support from the community (and one grumpy old man), but is never able to let her guard down lest her children’s secret be discovered. Even as the film switches focus onto the children growing up and entering school, we still see how difficult day-to-day life is for Hana. She has to take care of Ame during his frequent bouts of tardiness, and aid Yuki as she begins to focus on more feminine interests. Of particular note, however, is what happens when Yuki accidentally lets her wolf form slip out – and injures another student. In the following scene, we see the mother of the injured student harassing Hana over how she’s going to “compensate” her for this. Even as the injured student insists it was no big thing, Hana is expected to “compensate” on the same level as someone with a proper salary and savings, regardless of the situation she’s in. 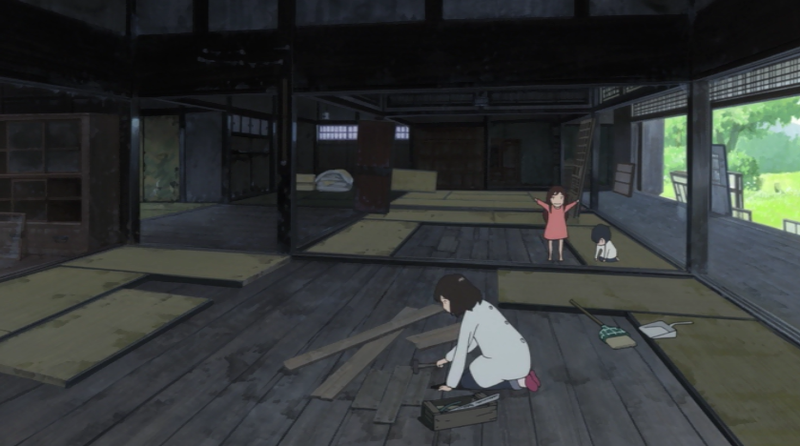 Throughout the film, we see nothing but a blatant disregard for how difficult it was on Hana to raise two children by herself. The world only sees her as a nuisance, unable to keep her children in line. Despite it all, she never stops. From start to finish, she does all in her power to see Ame and Yuki reach adulthood safely. I watched this film with my mother, who had to raise both me and my sister on her own. Throughout it we both recognized how the events of the film mirrored the actual experience of being a single mother, and how hard it was on Hana to take this duty upon herself. She drops her dreams and aspirations, her ability to finish college and get a degree, all for the sake of her children. Let this film serve as a reminder that motherhood, as celebrated as it is, comes as a struggle for those without support. Take a moment to remember, and help out, the single mothers in your life.